Guilin is a city famous for its lakes, rivers and karst mountains, all that makes it quite a recognisable destination among tourists. 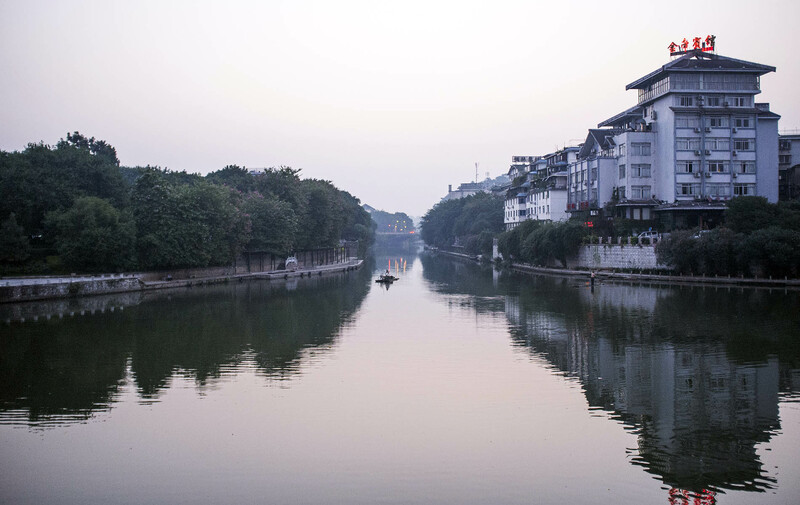 The main industry in Guilin is tourism, and despite the absence of bins, the city centre still remains much cleaner than the areas outside the centre, and many other cities in China. I arrived early in the morning and just made it for dusk, but a bamboo boat rower was already at work. The Li River early in the morning. 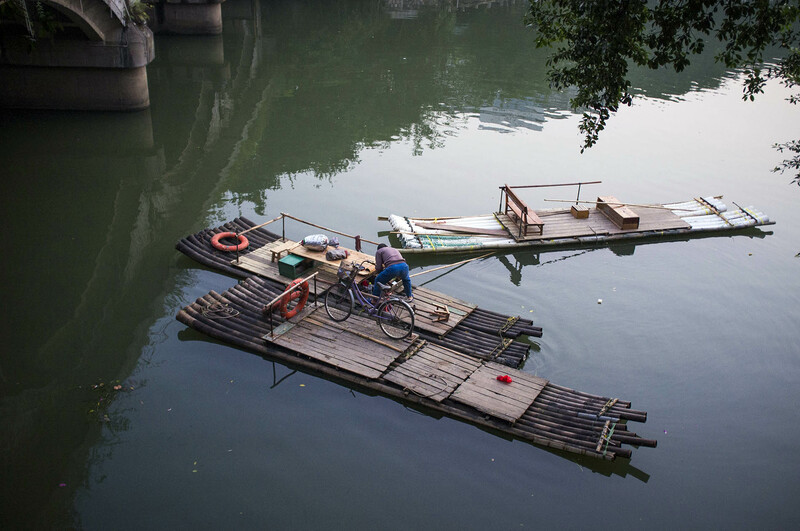 These bamboo rafts are shaped like a ski, the curvy edges allow them to glide effortlessly across the water. In China – as well as in a few other Asian countries – a developing, crowded country with lower standards of sanitation, many people view spitting as a means of clearing the toxins from their body. While for Westerners, using a tissue is common logic, for Chinese it’s using the pavement. Here the logic is “ better out than in”. It should also be understood that many Asian cultures see the Western act of blowing or sneezing in public into a handkerchief and then putting it into a pocket as truly disgusting and much worse than spitting. Today, the Chinese government is enforcing a few anti-spitting campaigns, such as those that were introduced in China before the Beijing Olympics – where people were asked to spit in to specially provided spitting bins. 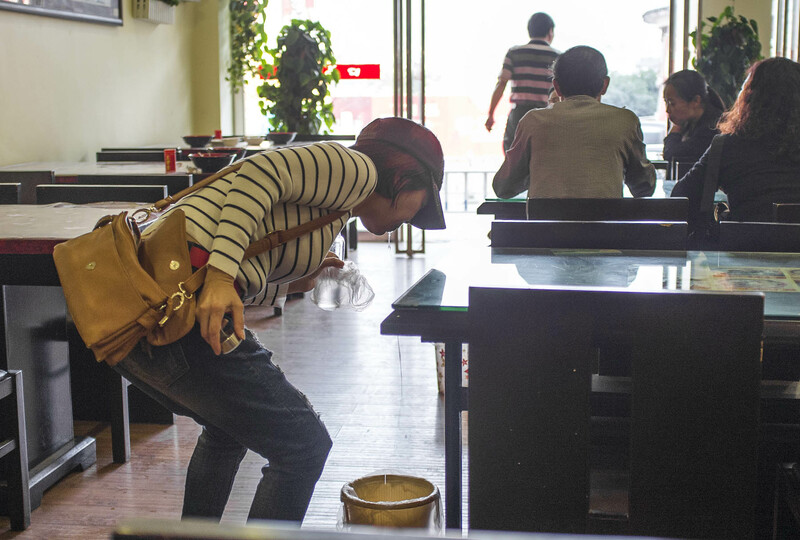 A woman is spitting in to a bin in a restaurant. Bins are usually placed next to every table in dining areas, or next to a seat in buses. Despite the pagodas and the Li River there is nothing more to see in Guilin. 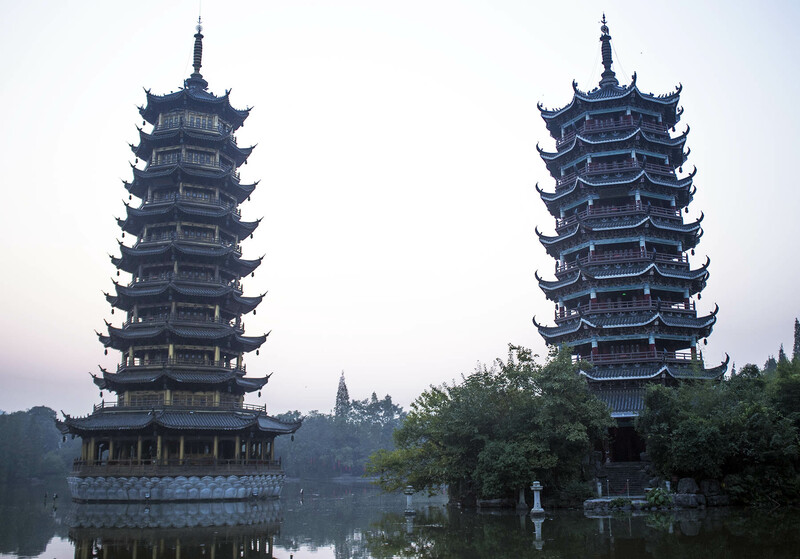 I waited for dusk, sat by the lake and looked at the moon and sun pagoda and then carried on. Two pagodas on the lake.